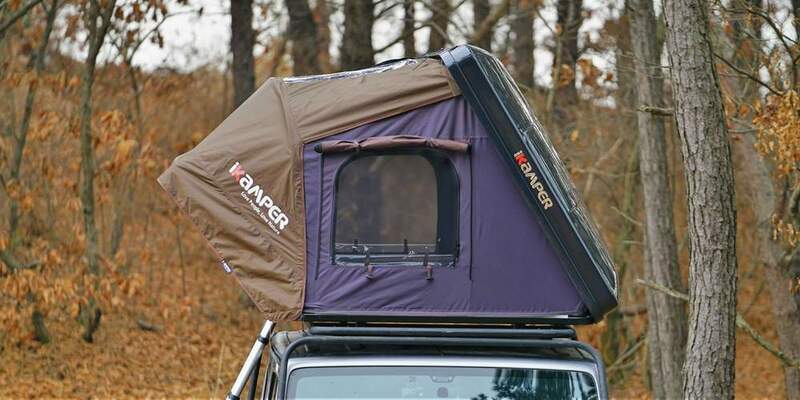 iKamper presents the Skycamp 2X: the same convenience as the Skycamp in a more compact version for 2-3 people (2 adults and 1 child). 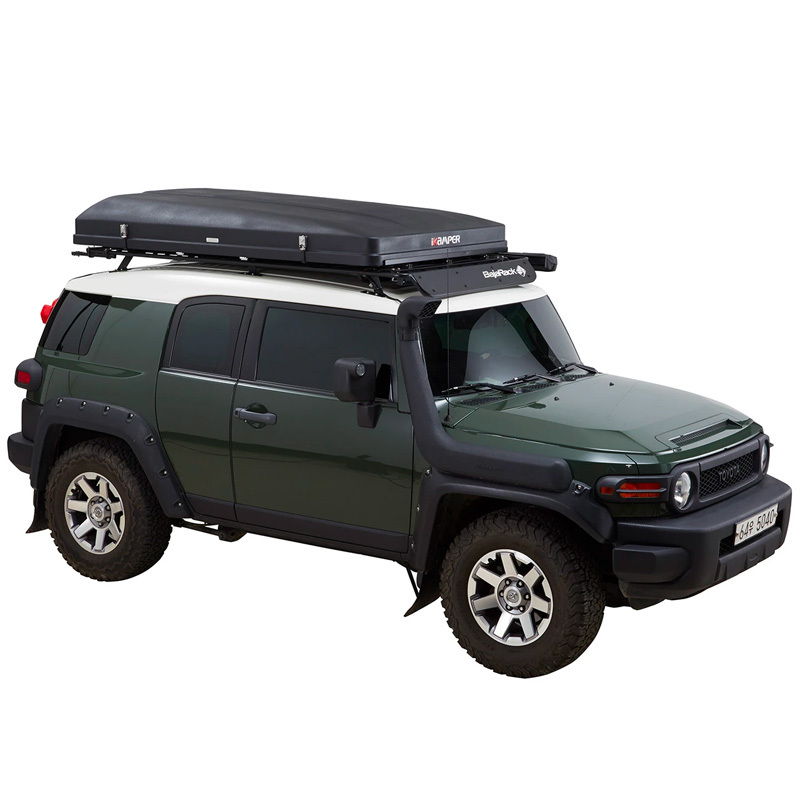 Quality: The Skycamp 2X is made with love at the iKamper factory in South Korea with quality components and custom molds. Park your car and be ready to camp in 1 minute. 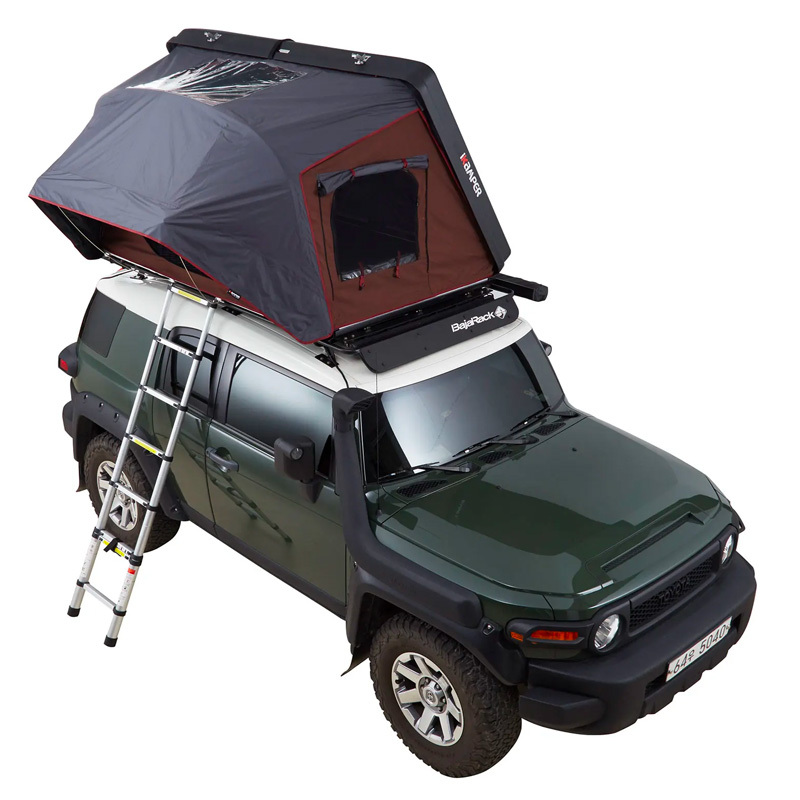 The Skycamp 2X will look great on your vehicle. Plus, it's aerodynamic so helps with fuel efficiency. At 120lbs (55kg), the Skycamp 2X is lightweight and easy to install on most cross bars on the market. With 4 colors available, choose the one that matches your vehicle best. 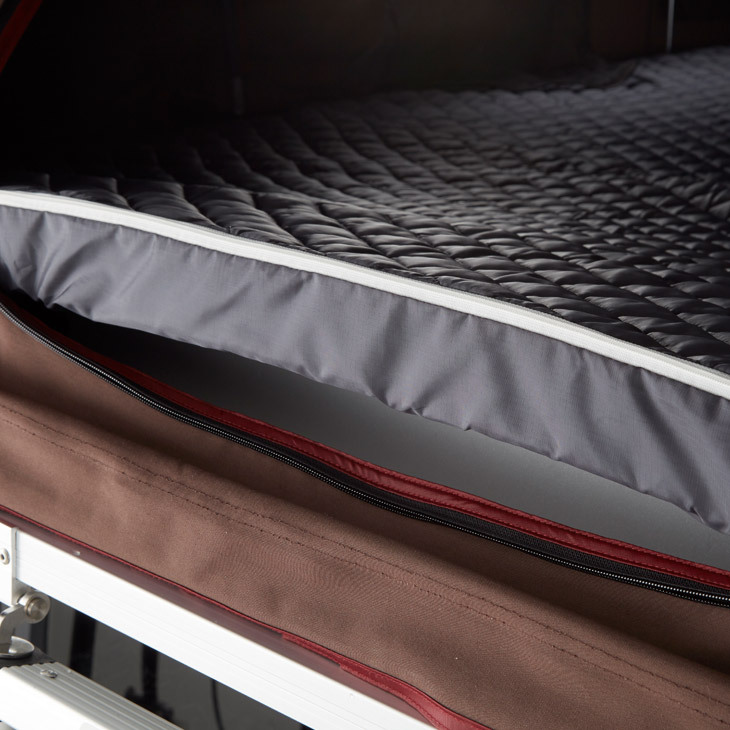 Our signature Skyview gives you more light when you need it, and lets you fall asleep under the stars at night. 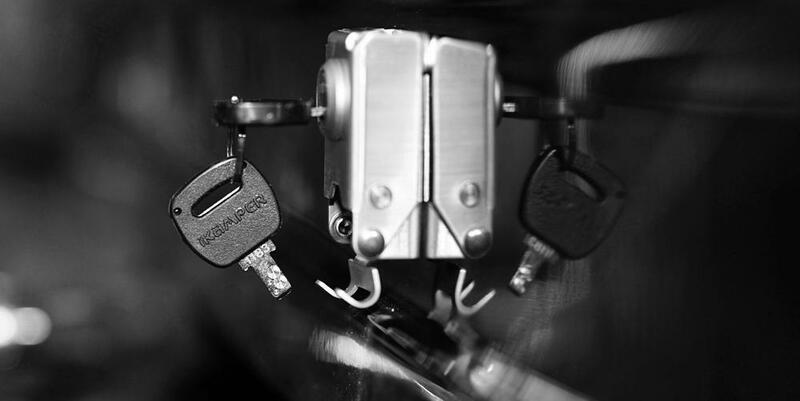 The Skycamp 2X is manufactured at our own factory with love, making sure we get each detail right. Pictured on the left are the Hard Shell Locks, keeping nosy people out of your tent while you're away. The Skycamp 2X's tent material is breathable, water-resistant poly-cotton canvas. It comes equipped with a rain fly for added protection and waterproof zippers. 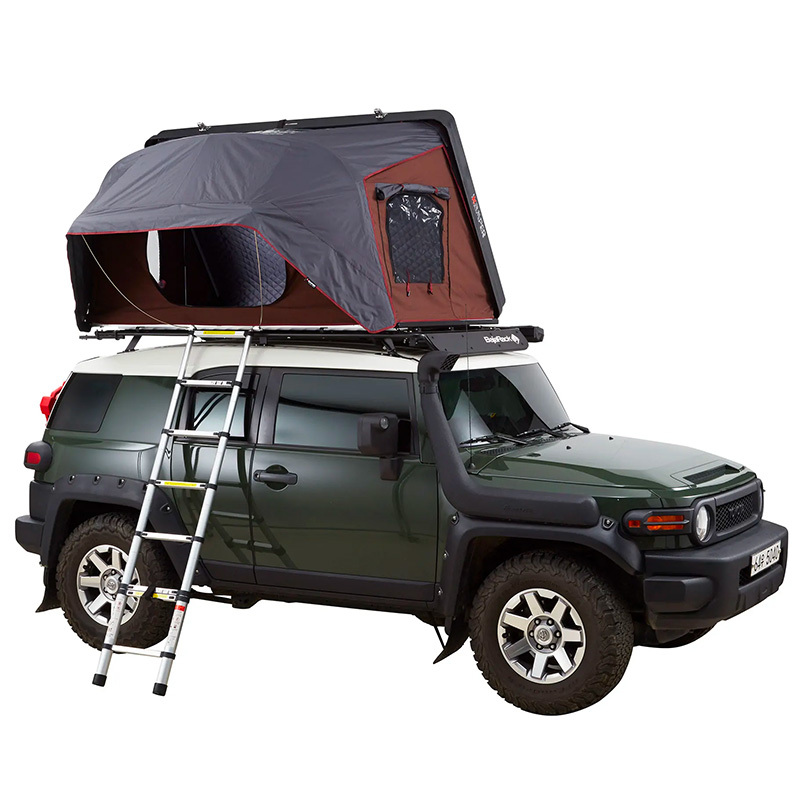 Choose the hard shell color you like most, and add the Annex Room or Awning accessories for the best camping experience possible. MATERIALS: Aluminum honeycomb panel floor, double-layered FRP (Fibre-Reinforced Plastic) shell, poly-cotton canvas tent (300gsm).